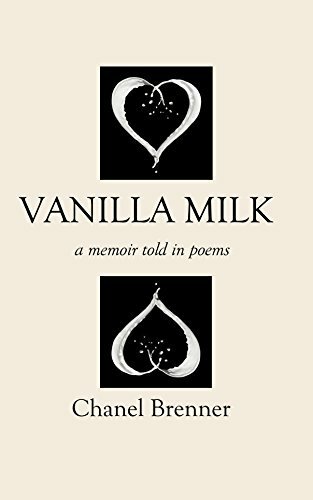 Vanilla Milk is a heartbreaking love story. It is the saddest book I’ve ever read. Although it may be unmanly in some circles to stream tears, especially over strangers, I rarely had a dry eye as I moved through this book. Even now I can’t read the poems aloud. To meet our needs. . . .
She sits across from me, wearing a purple sundress, her dark hair relaxed around her face. “You look really great,” she says, her voice thick with surprise, her eyes approving as they scan me from head to coral-painted toenails. I hear what she’s left out, “compared to a year ago,” the last time we had lunch together at this restaurant, shortly after Riley died. . . .
. . . . I wonder why we’re having lunch. Closure, or starting over? Her guilt or my curiosity? Nostalgia for a time when two women became friends over pre-school chauffeuring because it was easy? A time when conversation flowed lightly. A time when both our children were alive, and we had that in common. A dead child. . . . Certainly anyone who has gone through this experience of losing a child, no matter what age, will recognize many of their own emotions and thoughts. All of us have or will experience grief in our lives. Chanel Brenner’s memoir takes the reader into her and her family’s experiences. An album of photos follows the text as would a series of footnotes. The poet’s words are vision enough but the pictures add the faces. A nice-looking family. The smiles in the photos are engaging. Poetry often can be taken as an aesthetic entertainment but this book doesn’t entertain; it compels us to consciousness about the big subjects: love, life, death. Riley’s story speaks to us. The reader becomes, briefly, Chanel Brenner. Her words rush into our hearts and we feel. Chanel Brenner’s poems have appeared in Cultural Weekly, Poet Lore, Rattle, The Coachella Review, Diverse Voices Quarterly, Foliate Oak, Glassworks, and elsewhere. She was awarded first prize for her poetry in The Write Place At the Write Time’s contest. She lives in Los Angeles with her husband and son.